A rasp is a tool for abrasion, friction, and polishing that is used very often in carpentry work. It is used to profile the wood by reducing it more coarsely if it is in comparison with the file. The latter is the one that gives the final finish to the wood. The rasp eliminates the protruding wood of the curved surfaces, providing the first form to the piece worked with the greater rapidity. The rasps can be flat or round, but the most versatile is the semi-circular or also called half-round rasp. All these models are manufactured in two hundred, two hundred fifty and three hundred millimeters in length, being the two hundred fifty millimeters an excellent tool for universal use. 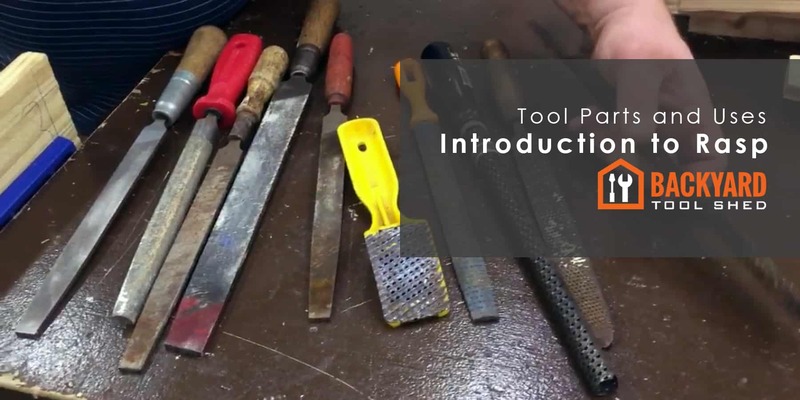 The purpose of the rasp is to carve or profile the wood in a fast and efficient way giving the desired shape to the piece because it can be used to thread and counter thread, leaving a surface ready to start the finish that, in this case, the files do. How to Use a Rasp? To begin with, you must adopt a proper body posture during the polishing process, holding the rasp by the handle with one hand and the tip of the rasp with the other. The wood should be fixed with a walrus or a vise. Also, as you can see, the rasps only polish on the forward stroke, i.e., one way. Of course, you should not use the rasps for hitting, nor as a lever. When the rasp's teeth are clogged with chips, you should clean it with a unique fine wire brush. If the rasp is not cleaned correctly, it can damage the wood or even get stuck in the progress of work and turn to be damaged. You should check if the handle is securely attached to the rest of the tool. In case it is loose or superimposed, it can cause any damage and accident. A rasp is a tool for abrasion, friction, and polishing that is used very often in carpentry work. It is used to profile the wood by reducing it more coarsely if it is in comparison with the file.